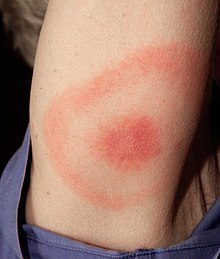 The US Centers for Disease Control (CDC) estimate 100,000 new cases of Lyme Disease each year. Considering the difficulty of diagnosing a bacteria with 50 known strains and the ability to mimic other diseases like rheumatoid arthritis, MS and Alzheimer's, statistics may be much higher. Some doctors consider Lyme Disease to be the #1 vector-borne illness in the US, with an annual cost of at least $60 million! (NIAID) This figure only includes treatment for early-stage Lyme Disease, without factoring in the effects of longterm disability or systemic complications of late-stage, "chronic" Lyme. Prima Una de Gato : TOA-Free Cat's Claw, also known as Samento. Some survivors have found major improvement with speech impairment (stopped talking in opposites), memory and some improvement in joint pain. A little goes a long way, and it must be added in gradually in order to avoid a major Herxheimer reaction. Teasel Root Tincture This one's hard to come by, but if you can find it, you may find it very helpful for joint aches. Taking teasel root completely removed years of arthritic symptoms in my husband's knees - almost overnight. I've heard similar stories from other Lyme folks who've managed to grow their own or find tinctures or teas online. Reishi Mushrooms : Reishi is an adaptogenic, medicinal mushroom. The term "adaptogen" means it educates the body on how to act in a proper, balanced way. If something's underactive, Reishi will strengthen. If something's overactive, Reishi will tone it down. Reishi also oxygenates the blood, oftentimes improving memory and mental acuity in the process. Host Defense : This is a specific blend of medicinal mushrooms by Traditional Medicinals. It supposedly ups immune function by 30%. Many Lyme survivors have found the extra oomph in the immune system helped them lessen joint pain and fatigue. Maitake Mushrooms Another medicinal mushroom, Maitake seems to work well for Lyme and supporting the immune system. The medicinal mushrooms have their own profiles. Maitake activates the immune system and seems to provide more overall energy. Resveratrol Found in skins of dark grapes, red wine, and Japanese Knotwood, this extract supposedly offers strong support for the immune system. Anecdotal evidence and raw food expert David Wolfe recognize resveratrol as one of the top supplements for Lyme Disease. Nitrous Oxide This one sounds controversial, but some studies have shown that nitrous oxide is highly toxic to Lyme bacteria. Commonly given by dentists during treatments, it may be impossible to calculate how much of the improvement stems from ridding Lyme patients of simultaneous infections in the gums and teeth that divert the immune system from treating the Lyme ... and how much direct improvement someone receives from the nitrous oxide itself. In any case, if you or someone you know suffers gum disease or dental issues AND has Lyme, you might at least want to get rid of the secondary infection. Heat : Some people have been known to inject themselves with malaria in order to overcome Lyme Disease - a fact that gives the unknowing some idea of just how devastating and desperate life with Lyme can seem. I spoke with a naturopath about this phenomenon and he told me that it's the fever associated with malaria that does the trick. "If it doesn't kill you, it kills the Lyme." Some people use far-infrared saunas for similar results. Keep in mind that the Herxheimer (die-off) reaction of Lyme bacteria can cause nausea, headaches and dizziness. If you employ heat to fight Lyme, make sure to work up gradually and take precautions to ensure your safety. Raw Foods : Raw foods and chlorophyll alkalize the system, and Lyme Disease, like most illnesses, prefers an acidic system. I've known raw foodies who got Lyme anyway, but anything that alkalizes does create a less welcoming environment for spirochetes. Colostrum : This is not a vegan product, but some vegans have opted to include it in their Lyme arsenal because it boosts the immune system in a major way. Probiotics : Since most Lyme sufferers get hit with multiple rounds of intense antibiotics, some strong probiotics - from the refrigerated section - help to rebuild the gut. Keeping the intestinal flora balanced helps the body to fight any and all illnesses. I hope this list gives you a place to start. I do not sell any of these products, and I am not wed to any particular brand. If you decide to research the products, please take time to research brand quality on your own. I've just listed these items as a service since I know how difficult it can be to find diagnosis and treatment for Lyme Disease. In the case of Lyme, antibiotics do often help, but immune building herbs and mushrooms offer extra potent ways of rejuvenating the body and raising it from the realm of spirochetes to the realm of wholeness and bliss. Combined with life-path assessments, anger release and self-love, physical treatment offers real hope in the face of a growing epidemic. Laura Bruno is a Life Coach, Medical Intuitive and Reiki Master Teacher from Sonoma County, CA. In addition to offering private coaching and intuitive sessions, she wrote "If I Only Had a Brain Injury: A TBI Survivor and Life Coach's Guide to Chronic Fatigue, Concussion, Lyme Disease, Migraine or Other 'Medical Mystery,'" available in book or eBook at http://ifionlyhadabraininjury.com. For more information on holistic healing, life coaching, medical intuition, and letting your gifts shine through your career, please see: http://www.internationalrenaissancecoaching.com or call 775-750-9140.